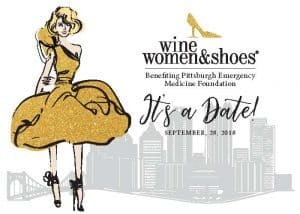 The Pittsburgh Emergency Medicine Foundation (PEMF) was created in 1985 to fund educational and research projects, primarily initiated by The Center for Emergency Medicine. In the nearly thirty years of existence, more than 175 research grants have been presented to dozens of researchers by the PEMF. These grants have resulted in over 75 published scientific papers, many receiving prestigious national awards. Research that can trace its origins to PEMF grants is leading to significant changes in the practice of emergency medicine. We welcome you to join us in this important mission! Throughout the year, there are many opportunities to get involved with the PEMF. Please click the EVENTS Tab to learn more about how we raise funds.